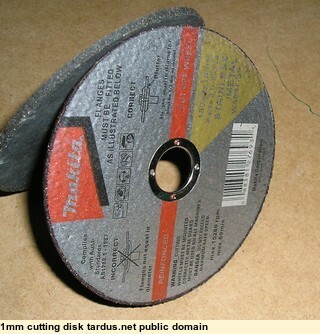 Metal cutting wheels (disks) for angle grinders come in a number of thicknesses. I've always used the thicker 3mm ones in my handheld angle grinder, because they ought to be more robust and less likely to shatter. I needed today to cut out some rusty old bolts holding the timber uprights of my carport to steel brackets embedded in brick piers. Here is one of the bolts - as you can see it definitely needed replacing. The first ones I did with the 3mm disk. Slow, lots of sparks, lots of grit flying, lots of heat. 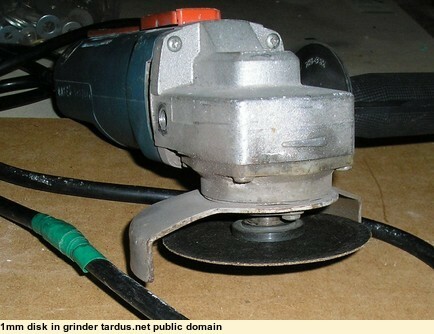 The thinner wheel fits neatly in the grinder. How did it go? Very well. 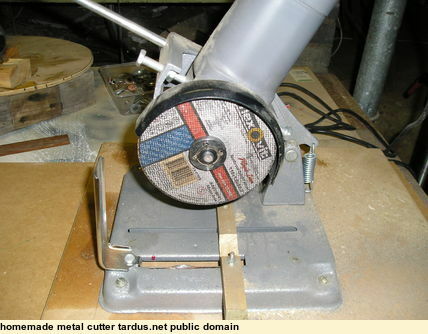 You probably should not try it for heavy cutting, but for slicing through the old bolts, it was much, much better! Faster, fewer sparks, less grit sprayed around and less heat. I should not have been surprised. I bought the 1mm disks for my cheap metal cutting drop saw, made from a $20 pressed metal gadget and another 100mm angle grinder. 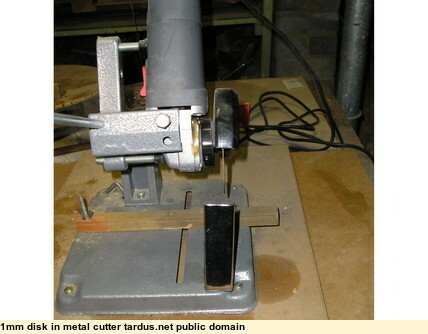 It works very well, slicing through even 50x50x3mm square steel tubing with ease. 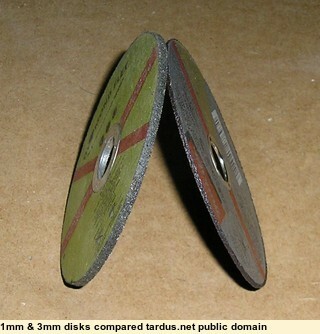 If you look closely, you can see I later on squeezed a 115mm disk into it, to give a bit more cutting depth. hold the grinder firmly, and avoid putting any side pressure on the disk.